We are happy to welcome you as a guest for an upcoming wedding ceremony at the Missouri Botanical Garden. The information below will help ensure an enjoyable day for everyone. A greeter will meet guests in front of the Ridgway Visitor Center at 4344 Shaw Blvd and provide directions to the wedding site. Wedding guests do not need a ticket to enter the Garden. Please arrive 20 to 30 minutes prior to the ceremony and park and walk to the site. 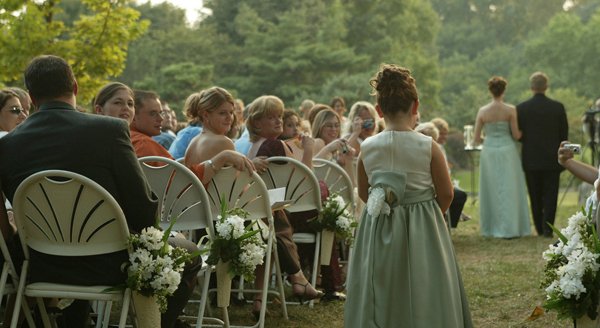 Ceremony sites are located across the Garden and all require a 10- to 20-minute walk so please wear comfortable shoes. Allow extra time if you require assistance. Wheel chairs are available on a first-come basis at the Garden's ticket counter.